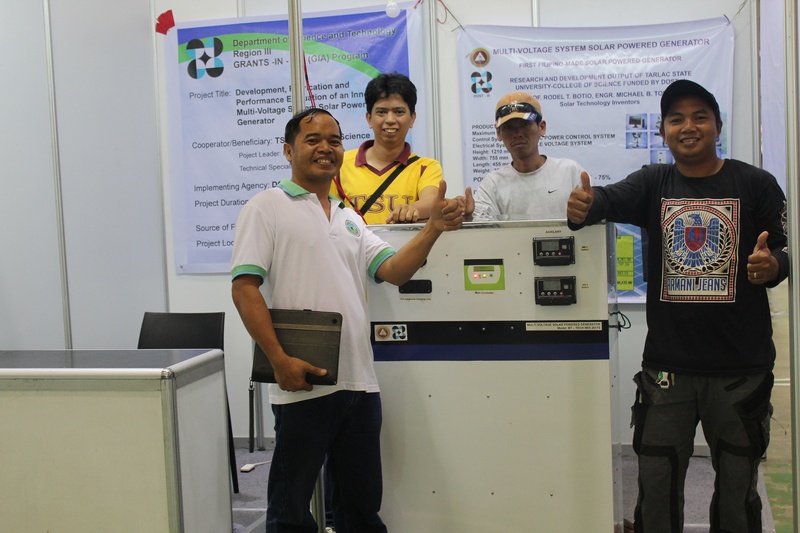 A multi-voltage system solar-powered generator developed by a research team from Tarlac province successfully passed pilot test as it produced enough power to run common household appliances simultaneously. The generator, developed by Tarlac State University, was tested and launched by the Department of Science and Technology in Brgy. Ungot, Tarlac City. Professor Rodel Botio of the TSU research and extension office led the project which received funding from DOST Region III under its Grants-in-Aid (GIA) program. During the pilot test, he generator was able to power airconditioners, electric lights, a refrigerator, a television set, and electric fans at the same time. DOST Region III Director Julius Caesar V. Sicat expressed satisfaction with the results of the project, adding that similar collaborations are also ongoing with two other state universities in the region, namely the Aurora State College of Technology (ASCOT) in Baler, Aurora and the Don Honorio Ventura Technological State University (DHVTSU) in Bacolor, Pampanga. He said that DOST Region III will continue to support similar projects like these as he encouraged state universities and colleges in the region to contribute to the upgrading and modernization of the agriculture, industry, health and environmental sectors to help improve the over-all productivity of the region. 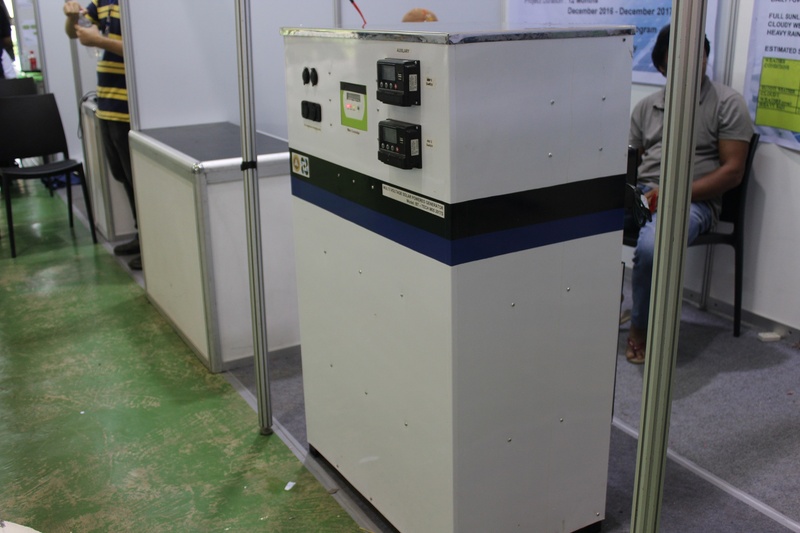 The multi-voltage system solar-powered generator can provide alternating current of 220V and direct current of 12V with a rated power capacity of 8KW (8000W). Prof. Botio told that during its first month of trial run in a residential unit, the generatorwas able to bring down the homeowner's electricity bill from P6,000 to P1,500. A 1000W DC solar power unit was also successfully pilot tested in the home of a poor family in Brgy. Bantug in the Science City of Munoz, Nueva Ecija to power up 6 electric light bulbs and one electric fan. The household is now 100 percent powered by solar energy. Also present during the launch were Dr. Arthur Dayrit, assistant regional director of the Department of Agriculture; Engr. Romeolito Tacbian, provincial director of DOST Tarlac; Retired General Wilson Victorio of the Anti-Terrorism Council from the Office of the President; and Dr. Glenard Madriaga, vice president for research at TSU. Through its GIA program, the DOST provides assistance to local government units and the academe to implement projects and conduct researches that will benefit the marginalized people in the communities. Prof. Rodel Botiom (left) of TSU designed the solar-powered generator. The TSU-developed solar-powered generator on display at the 2017 Regional Science and Technology Week event at the Central Luzon State University, Science City of Munoz, Nueva Ecija.